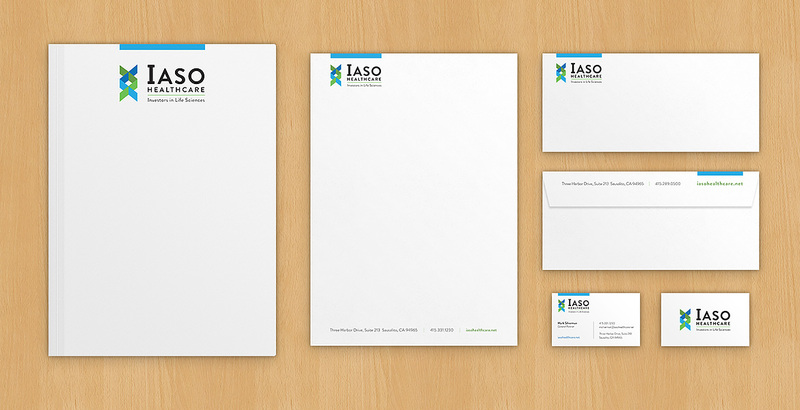 While on contract with Afstudio Design, we worked on an identity system for Iaso Healthcare, a Marin-based financial investment firm focused on the the healthcare industry. Iaso was looking for a brand that is clean, professional and that "shows" healthcare. We created an identity that depicts a stylized double helix and coupled it with a nice, sans-serif typeface and a complimentary color palette of blues & greens that give a sense to health and growth. We then applied this identity across business and marketing materials.